Born in Los Angeles and raised in Southern California, Debbie’s knowledge of the various counties is impressive. Before settling down to raise a family, her experience in Risk Management, Advertising and Event Planning provided her the unique qualities of an open mind, proactive attitude and creative thinking. Previously CEO/Team Leader of both the Keller Williams Diamond Bar and Keller Williams Brentwood Market Centers, Debbie Curry’s career as a Realtor and Broker started in Pacific Palisades and expanded to the beautiful Ojai Valley, Ventura County and now in the Exclusive Properties Keller Williams office of Simi Valley. 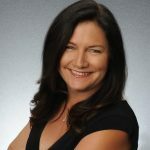 Her impressive list of accomplishments includes serving as President-Elect and Vice President for the Ojai Valley Board of Realtors in 2010, Director of Agent Services, Keller Williams Realty, West Ventura County in 2011, and serving on Marketing and Leadership boards and committees since 2005. In her free time Debbie enjoys working with Habitat for Humanity, hiking, beach walks and traveling to any tropical location. If it’s on or near the water she will be there. Debbie’s wide experience and knowledge, along with creative thinking, enables her to guide her clients smoothly through any real estate transaction.